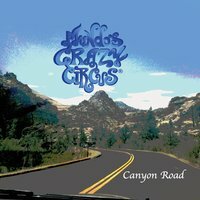 A NEW Look with the bands second LP release "Canyon Road". Amanda Thonn has taken the reigns on Vocals and has added her own accent to the band's style. She brings plenty of power & emotion to match the music's dynamic energy. Chief Songwriter & Guitarist Keith Doyle continues to lay it on the line. From the captivating lyrics to the in your face solo's, this is a solid collection of Rock N' Roll music with a few surprising turns along the way. Produced by Keith Doyle & Will Holland.